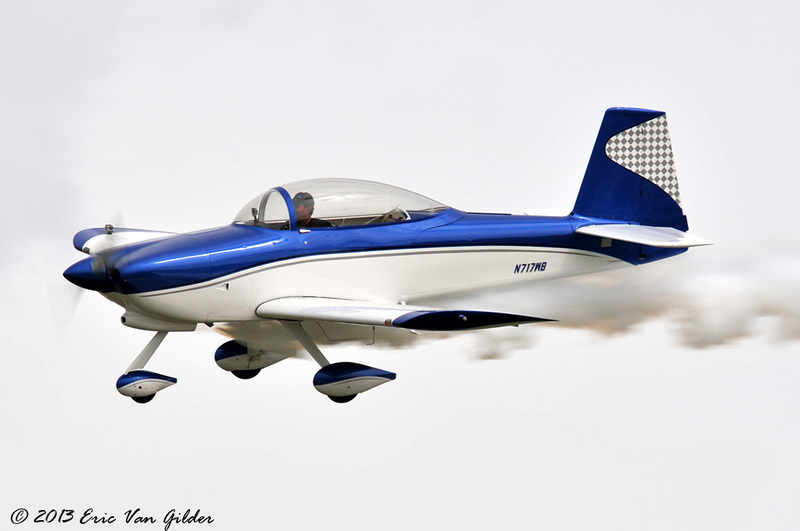 Van Gilder Aviation Photography, Eaa AirVenture Oshkosh 2013- Jerry "Jive" Kerby in "Wild Blue"
Jerry "Jive" Kerby in "Wild Blue"
Jerry "Jive" Kerby retired from the USAF in 2006 after flying the F-15 Eagle and the F-4 Phantom. 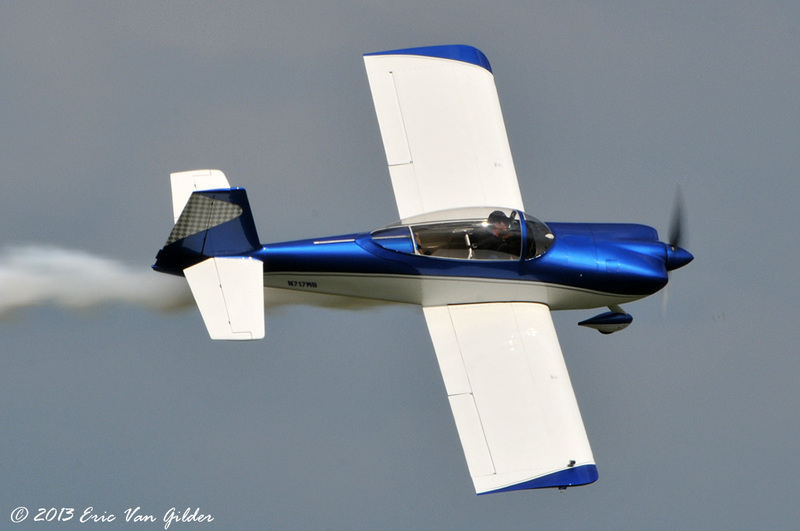 He was the first F-4 Heritage Flight pilot certified and is one of only 2 certified civilian flight instructors in the F-4. 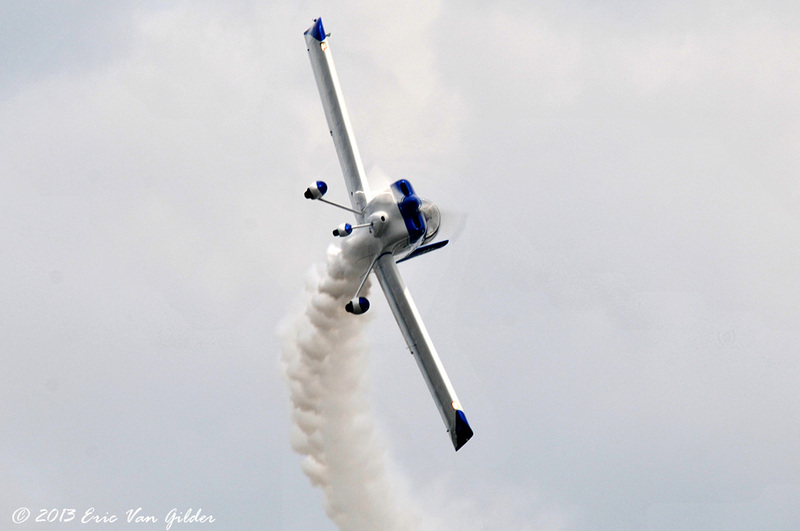 Jive is also a member of the Trojan Horsemen T-28 demonstration team. 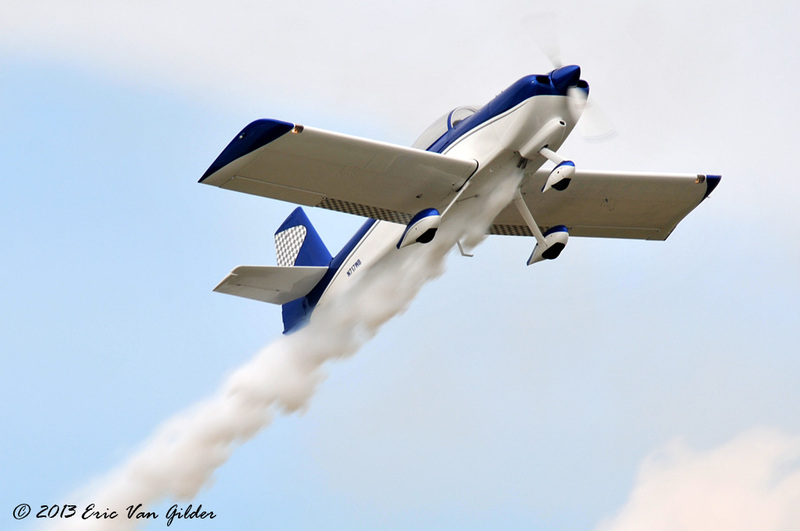 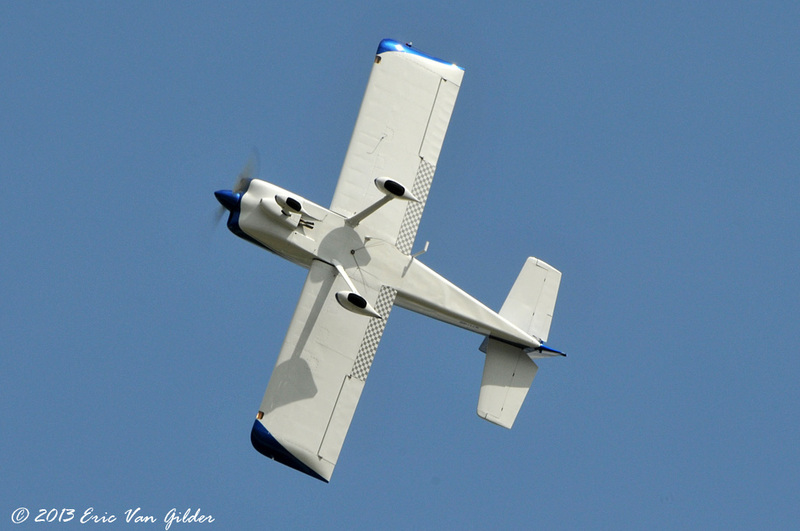 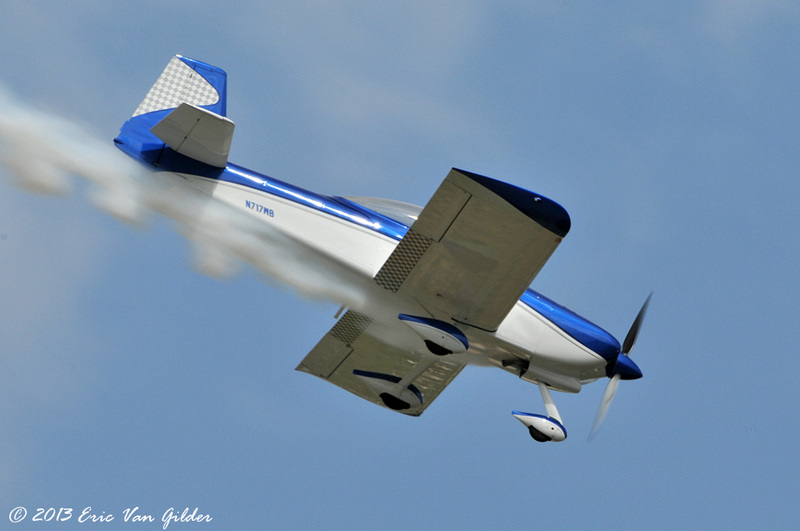 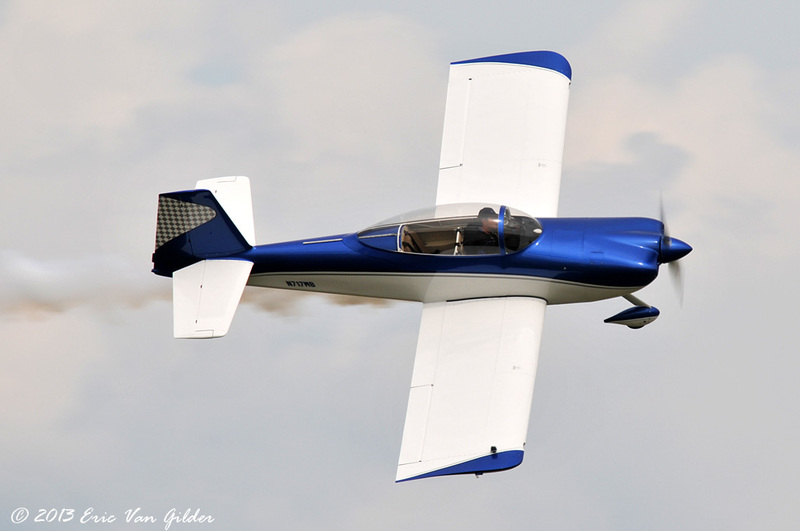 For his Oshkosh performance, he flew his Vans RV-8 called Wild Blue.